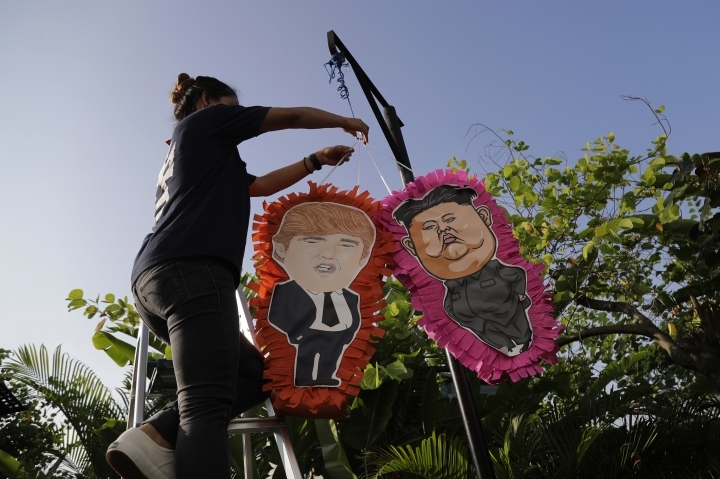 Singapore Postcard: Trump cocktails, Kim tacos anyone? 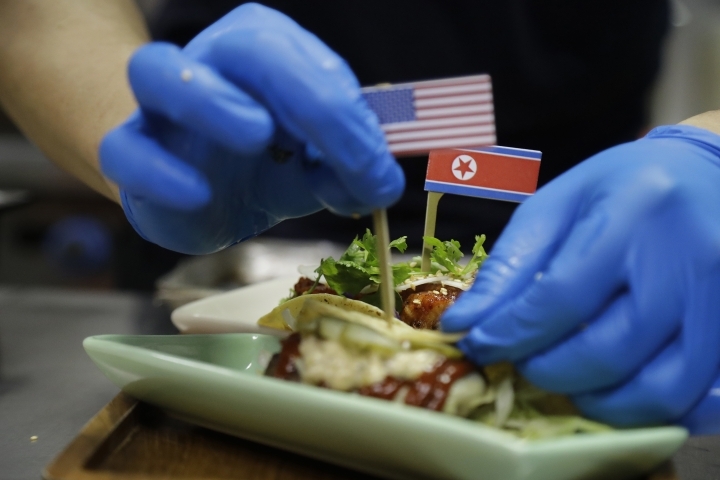 SINGAPORE — Singapore is a city that takes great pride in its food, so it should be no surprise that enterprising restaurateurs are using next week's historic summit between U.S. President Donald Trump and North Korean leader Kim Jong Un to showcase some culinary creativity. 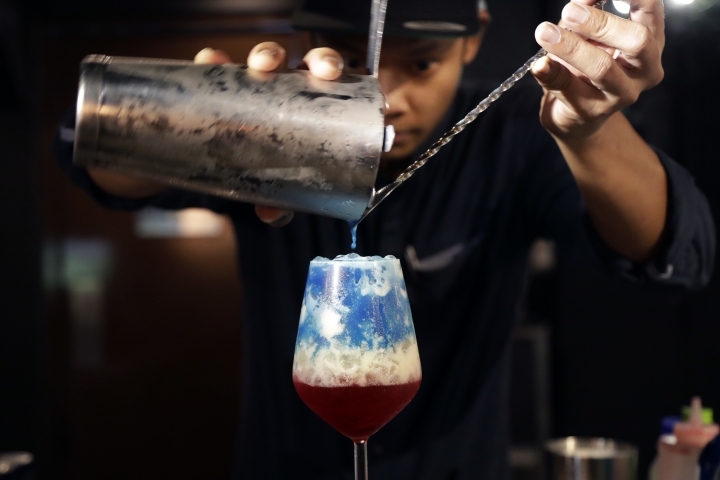 Restaurants are marking the city-state's time in the global spotlight with everything from red, white and blue cocktails to tacos named after the two leaders. Several of the stunts are being marketed with a twist on Trump's signature "Make America Great Again" slogan. 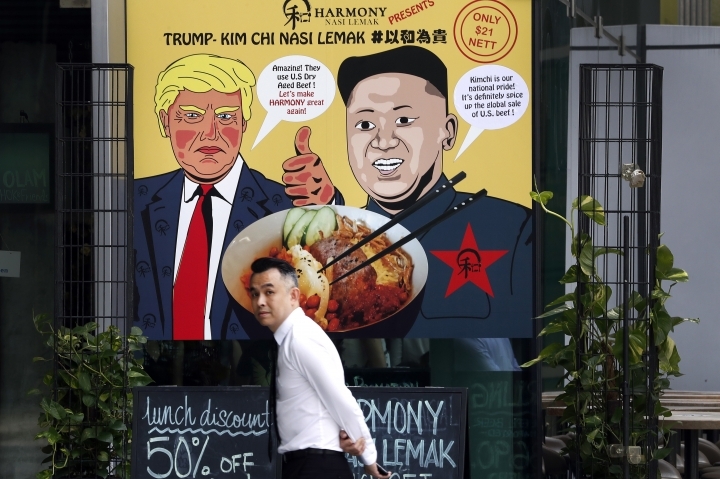 At Harmony Nasi Lemak in central Singapore a signboard with drawings of Trump and Kim greets passers-by with the words: "Let's make HARMONY great again!" 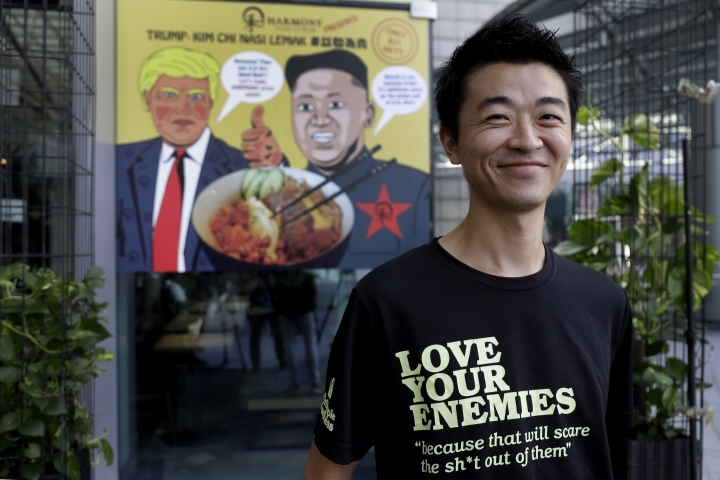 Inside it's selling what it calls the "Trump-Kim Chi Nasi Lemak," which puts American and Korean elements in a traditional dish of rice, fish or chicken and chili paste that is popular in Singapore and neighboring Malaysia. 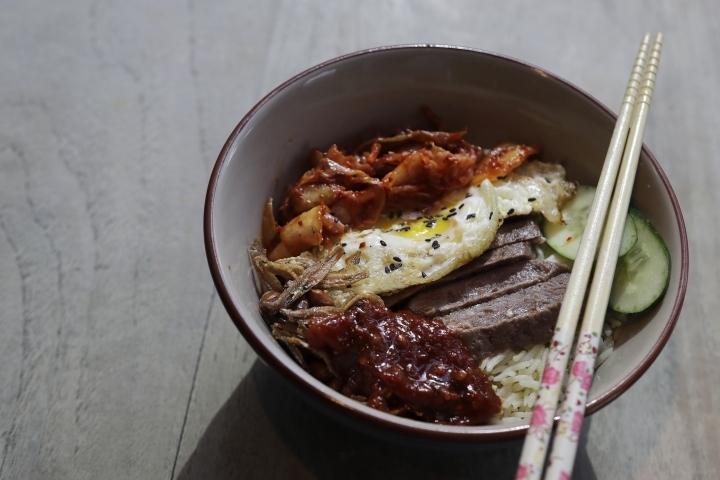 The new concoction features U.S. dry-aged beef and a stack of spicy kimchi, a Korean staple. Zach Wen, the restaurant's co-founder, said the dish isn't just a gimmick and he hopes it spreads a positive message. He noted that it's already been well received. "Some Korean people who came ... love the kimchi a lot and others (are) saying that the portion is so huge. Why so big? 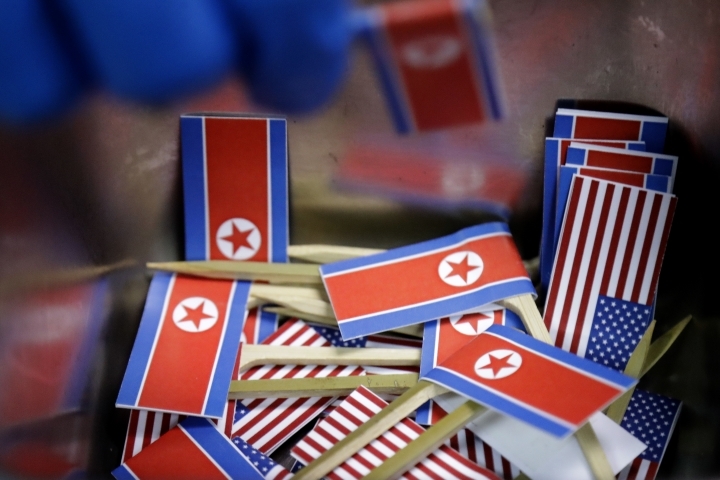 I say because it's the American version, it's the American portion," he said. At the Mexican restaurant Lucha Loco, they're promising to "make tacos great again" by selling specialty tacos called "El Gringo" and "El Hombre Cohete," which in Spanish translates as the rocket man. The former has the flavors of an American cheeseburger, while the latter is packed with Korean fried chicken. 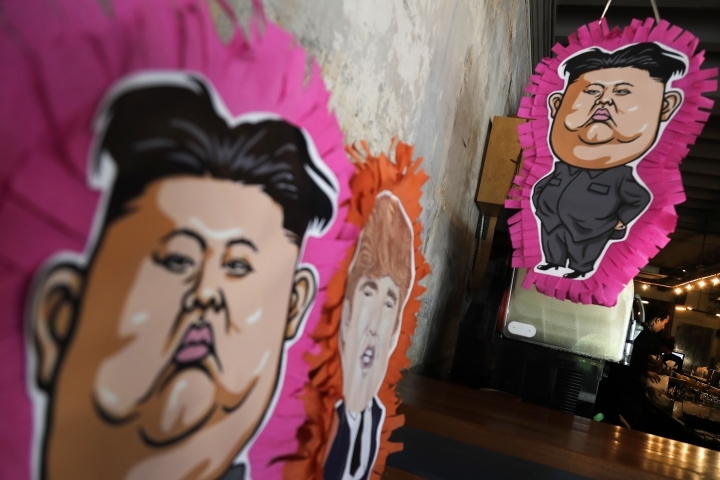 Executive chef Nelson Burgos said the restaurant is also offering customers the chance to smash piñatas shaped as caricatures of the two leaders that are filled with sweets. It's "a gesture of celebration for us and for having such a big event in Singapore," he said. "It's an event that's probably never going to happen again in our lifetimes." Over at nightspot Escobar, they're offering specialty summit cocktails. The "Trump" is a layered bourbon-based drink in the colors of the American flag. 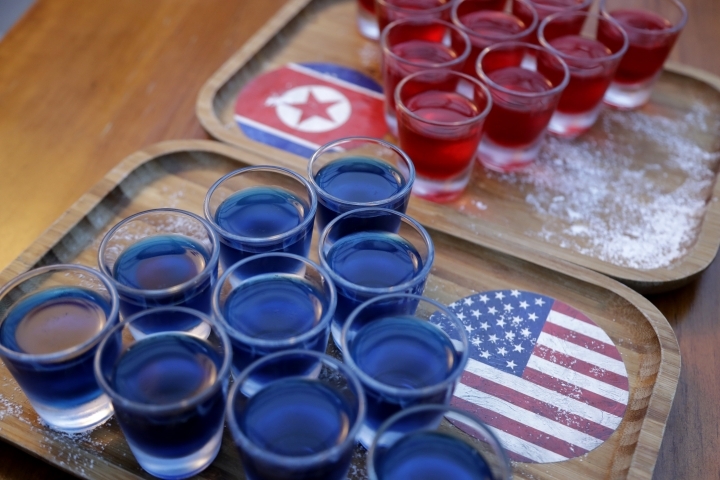 The "Kim" is deep red and shaken with soju, a vodka-like alcohol loved in both Koreas. Owner Stan Sri Ganesh was pleased that so many establishments were coming up with commemorative food and drinks. "I think it reflects well on Singapore that we're not all that quiet," he said. "We can be very colorful if we want to. So that's a good thing."